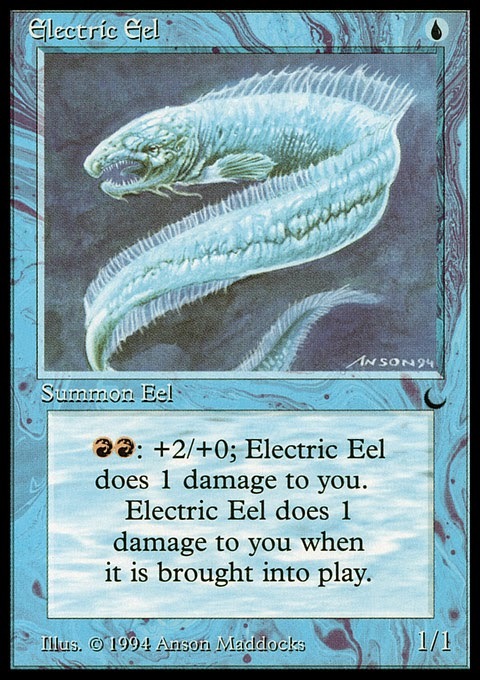 One of the more surprisingly playable cards in old school magic is Electric Eel. It attacks for 3 on turn two if the mana is right, and it will trade with both Factories and Juggernauts. Once in a blue moon, it'll even trade with a Juzam or Erhnam. The winning deck of last n00bcon played the full playset of Eels and really showed off the card's potential. At its most basic, an Electric Eel deck is a red/blue deck that uses Blood Moon and Energy Flux to punish the more powerful decks. It adds tempo with cheap creatures and lots of burn. It doesn't always play Electric Eel though, as the monetary cost to make it work well is surprisingly high. When these cards are obtained, then we could start looking for the Volcanic Islands. Apart from the Timetwister, these four lands will probably be far more expensive than the rest of the deck combined though. This is why an Electric Eel deck may not actually play Electric Eel; the card will only really shine if the deck have access to Volcanic Islands. And then we'll have to ask ourselves again; do we really want to spend that time and money on duals, or would we rather build a new deck? At this point we're pretty close to a shell for e.g. 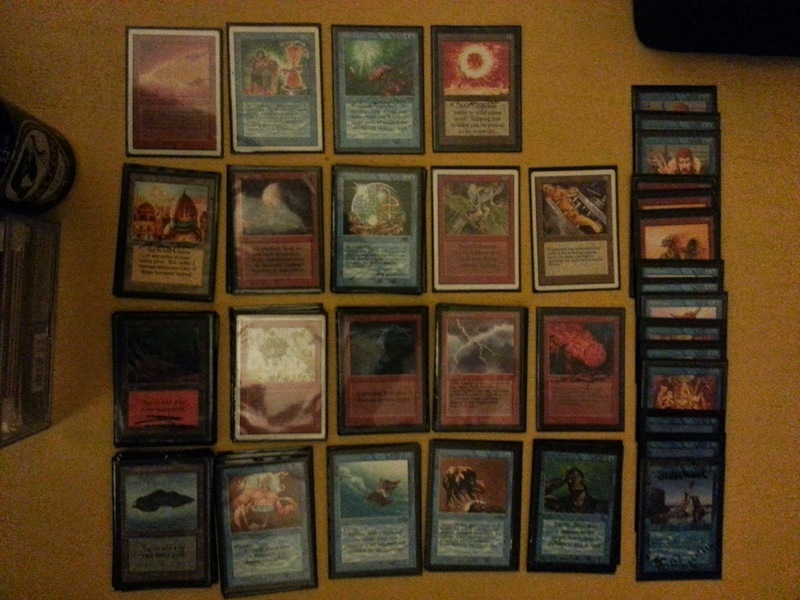 the winning deck from WSK, or we could build Goblins or Suicide Blue or any other myriad of decks. The exact numbers of each card appears to be a secret tech. It's an awesome card :) Well played with it!